I know this has been tried before, and I'd be surprised if it has ever worked, but it didn't work this time. In an opinion issued on October 14, the California Court of Appeal held that an insanity plea to an attempted-robbery charge would not work when the defendant's only evidence was that he had been playing "Grand Theft Auto" for 10 hours straight while high on crystal meth. Gamers, please take note. According to the opinion (PDF linked below), in 2007 Jaisen Henning tried to rob a Days Inn located in Placer County, California (temporary home of the Donner Party, although oddly the county doesn't list that on its tourism site), after a 10-hour GTA marathon. 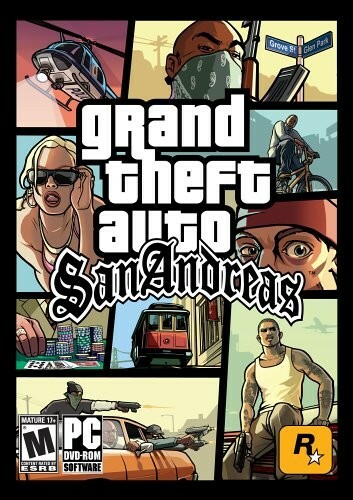 This is a very immersive game, and probably even more so if you have not slept in a week because you have been using crystal meth, and if every day during that sleepless week you "used some combination of methamphetamine, alcohol, ecstasy, crack cocaine, and hallucinogenic mushrooms." Henning claimed that as he finished playing the game, he "imagined voices from a little green person telling him, 'It's time to do this. You can do this. Let's do this.'" "This" apparently referred to one of the fun and family-friendly activities possible in the game, such as robbing people and fleeing from police. What followed, though, was not something depicted in the game (as far as I know). Henning went to the Days Inn, which he said he had chosen at random, wearing a black ski mask and carrying a shotgun. He ordered the man behind the counter to open the cash drawer. The man explained that he could not do that because he was a plumber, not a Days Inn employee. There was an actual Days Inn employee behind the counter, who, thinking quickly, "hid behind [the plumber] and stated that he worked for [him]." This independent-contractor defense seems to have stymied Henning, who "seemed surprised by the responses . . . [and] stopped to think." He then demanded their wallets. The plumber bravely refused, but did offer Henning two dollars. But as noted, this was only an attempted robbery, because at that point Henning "noticed his car was rolling down the inclined driveway, and ran after it without taking anything." His subsequent attempt to flee from police was just as successful, resulting in complete mission failure. No points awarded. After being convicted, Henning appealed partly on the grounds that the trial court had refused to accept an insanity plea (which, to his credit, defense counsel had refused to go along with). The Court of Appeal found that Henning had the right to enter whatever plea he wanted, but that the error was harmless because the record showed there was no basis for such a plea here. Defense counsel's own statements were pretty good evidence of that – he had diligently obtained no fewer than four expert evaluations of his client, none of which were helpful. (One expert opined that the defendant had been trying "to appear more crazy than he actually was.") And, surprisingly, the Legislature here has chosen not to allow the use of massive amounts of hallucinatory drugs to support an insanity defense. The court does not seem to have been impressed at all by the alleged influence of GTA. The court also pointed to the evidence that Henning knew what he was doing, such as the disguise and his attempt to flee from police. "Thus," the court found, "the circumstances show intentional strategic thinking rather than insanity." Well, since he did park his getaway car on an incline without setting the parking brake, it might be a stretch to call this guy a "strategic thinker." Still, it's the right result. Link: People v. Henning, No. C060371 (Cal. Ct. App. Oct. 14, 2009).